Why do people have problems sticking to a weight loss diet in the UAE? Why does dieting seem so hard? Are there any secrets to ‘sticking’ with a diet plan? We’ve all been there… Starting out a new diet in the UAE with hopes of getting in shape and achieving a desired physique. Only to realise half way there that you have lost every bit of motivation that you previously had. Then what do you do? Quit your diet plan and start eating unhealthy again? Become the weaker person that you were before? Go back to the old and unhealthy “you”? We see so many people start new diets daily in Abu Dhabi, Dubai and Sharjah. Ketogenic diet, Atkins diet, vegetarian diet, vegan diet, South beach diet, intermittent fasting, are some of the diets that people attend in hopes of getting slimmer, more masculine or toned up. Setting up a goal is one thing achieving that goal is another. It’s very easy to promise yourself that you’ll become a better person, but we humans are used to lying to ourselves all the time and breaking our own promises. That’s why people often “cheat” on their diets. They think that they can handle their new diet, but in reality they quit very early. It’s easier said than done. Lack of motivation, no focus and setting up unrealistic goals are some of the reasons why people cannot simply stick to a diet. 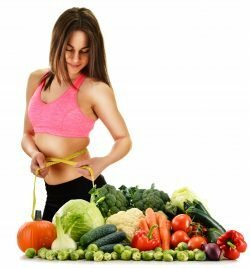 Although you can easily create a great diet plan on your own a personal trainer in Dubai, Abu Dhabi or Sharjah with weight loss experience can be worth their weight in gold when it comes to making sure you stay on track. So what are the best techniques to ensure you stick with your weight loss diet plan in the UAE? The biggest problem that people have when starting a new diet and setting a new goal is staying consistent with the basic principles in order to achieve their goal. You have to understand that your body won’t change overnight. All that years of bad eating that have resulted in the body that you have currently won’t be gone in a matter of days. It requires months or even years of consistent dieting and training to achieve your end goal. So don’t think that you can drink your protein powder or “weight loss” tea and become masculine or slim overnight. THAT’S NOT HAPPENING! You have to be real with yourself. Patience, hard work and consistency are the only things you need to achieve your weight loss goals in Abu Dhabi, Dubai and Sharjah. So many times we see so many people setting unrealistic goals. It’s good to be ambitious and positive looking in terms of your end goal but you should not allow your thoughts to carry you so far that you start becoming delusional. You probably CAN’T and WON’T be the next Arnold Schwarzenegger, Phil Heat, Jay Cutler or any other top of the spectrum fitness/bodybuilding icon. For the average Joe, no matter what you do, what kind of drug you take, what kind of diet and exercise plan you follow you’ll never achieve the physique that those people have. That’s talent/genetics and you’re born with that. HOWEVER you should not see this as a demotivating factor. You can achieve a lot and by a lot I mean a lot if you just follow the three principles that we have mentioned above. Many people when following a new nutrition plan just go on a “food diet”. One month they eat one type of food, the other month they eat different type of food and then after a period of time they quit. Firstly, eating healthy for just a month or two or even more doesn’t do anything in terms of achieving the healthy lifestyle that most of the people are looking for. You are simply following a diet plan. It should not be like that. The fact that food is the number one cause of health problems and obesity is, I think a good reason to start looking towards food in a different matter. What I am trying to say is your diet plan should be sustainable. The point of all this isn’t to eat healthy for a month or couple of months and then realise that you don’t like to continue in that way. The goal is sustaining a constant healthy eating plan throughout the years following. That way you stay healthy and avoid health problems. In the beginning of every weight loss or muscle building journey everyone’s motivated and bursting with energy to get started with the dieting and exercise plan. Do you think that you’ll have the same motivation throughout the whole transformation? Of course you won’t. After a couple of months progress will slow and so will your motivation. The thing is, you should never allow yourself to work out and follow a diet plan based on your motivation. Your motivation changes from moment to moment. One day you feel happy and motivated because someone gave you a compliment and other day you broke up with your partner which completely destroyed your motivation and will to go to the gym or to do anything healthy related. The way to go is: leave your motivation on side and make working out and dieting your lifestyle. You should definitely have some motivation but don’t allow it to interfere with your progress. Another thing that people struggle with is not having enough support. We get it, support is important; it drives you forward towards your goals. It’s always good when someone compliments you and says that you do a good job. BUT HOW IN THE WORLD is one person’s word or opinion enough to keep you going?! On the other side there also a kind of people who don’t want you to succeed and will talk bad to you with intent to demotivate you. If you consider all of the opinions and feedback that you get, you will end up being demotivated and feel pressure in terms of not letting down those who support you. That’s why you should not always be too bothered about other people’s opinions. Don’t get me wrong. It’s good to have feedback, to know if what you are doing is good, to motivate you, but don’t do your work based on other people’s opinion. Support from a profession can be invaluable though. A fitness coach in your area of the UAE can provide support through the good and bad times of your weight loss journey. You should remember to follow the 3 basic principles of fitness that we mentioned above. Take this article as a friend’s advice for never quitting – you’ll get there in the end! 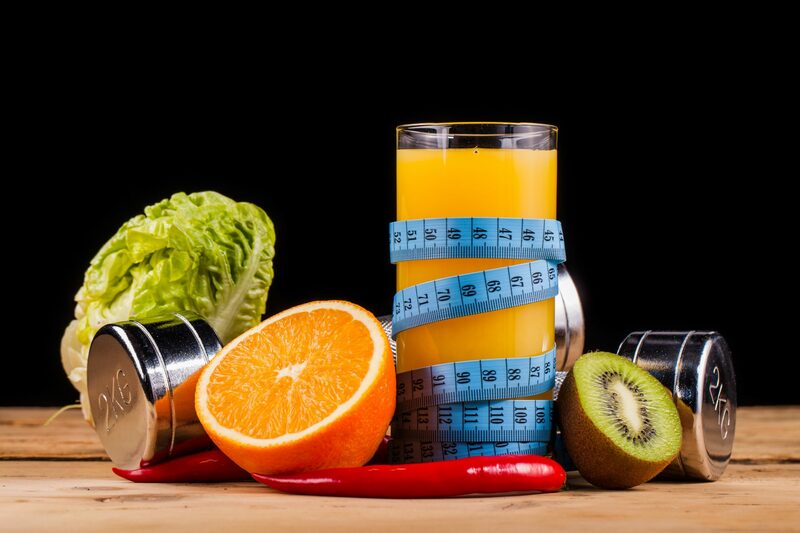 If you find you are struggling to stick to your diet plan in the UAE maybe a professional personal trainer with diet and nutrition experience can help. See the links below to quickly and easily find weight loss personal trainers local to you.